Every year, Alliance volunteers gather to celebrate the work of the year at Blue Rock Springs Park. This year, the event will take place on Saturday, July 23. You can spend an easy morning picking up trash around the lake (come at 9 a.m.); or just come for a burger or hotdog at 11:00 a.m. 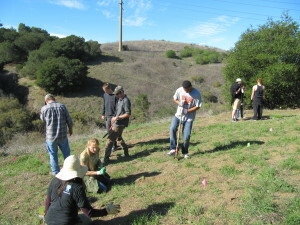 Native plant restoration in the Blue Rock Springs Creek corridor, Hanns Park, Vallejo. 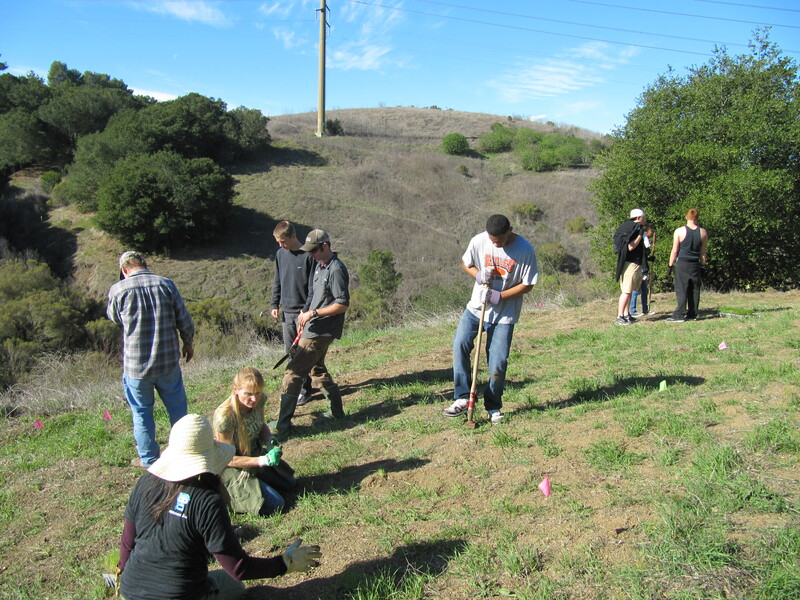 Habitat restoration projects along the Blue Rock Springs Creek Corridor need your help before summer! 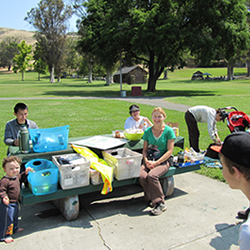 Join us on Saturday, June 18 from 9 a.m. to noon.We’ll meet in Hanns Park, on Skyline off Redwood Parkway. Park in the Hanns Park lot, and follow the signs a short way up the bike path. Wear comfortable clothes, sturdy shoes, hat, sunscreen, and gloves. We’ll bring water, refreshments, and tools.